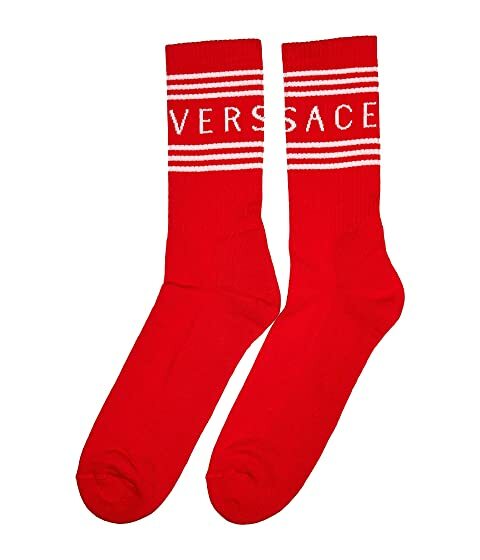 Brand yourself front head to wearing the fabulous Versace® Versace Text Socks. Brand name and striped accents. 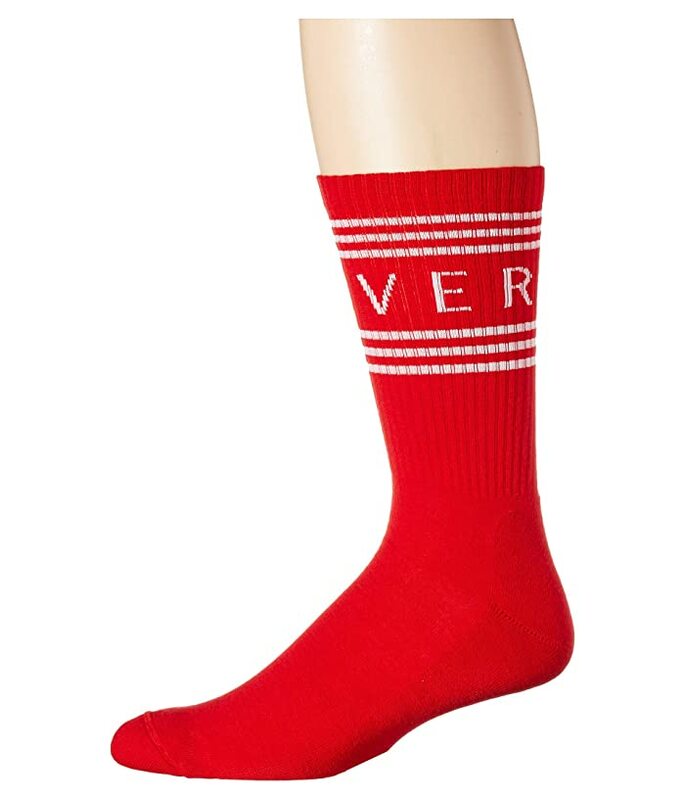 80% cotton, 16% polyamide, 4% elastane.